Dress On Rent (DOR, for short) is a new startup that recently opened shop in Erandwane. Their tagline is self-explanatory, 'why buy when you can rent? ', and they stock party-wear for women. 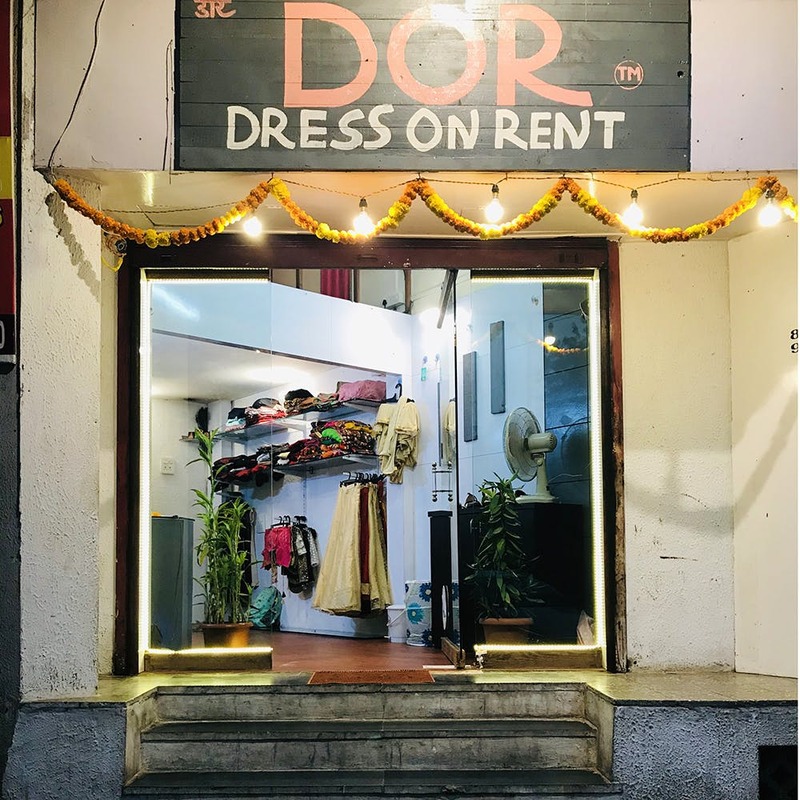 Founded by Mayuri Bhagwatkar in partnership with Shreyash Kapse, DOR was started to cater to their friends who would go out every night but didn't want to repeat the same outfits. They stock clothing in the form of party dresses, tops, skirts, gowns, and a couple of wedding lehengas too. Rental prices range from INR 100 - 500 (depending on the item) for a 24-hour duration, with a refundable security deposit matching the price of the item. If you don't have the budget to pay for the security deposit, we're told you can leave your Aadhar card (or any original ID proof) with them as collateral. DOR stocks clothing sizes from XS to XL, with a couple of XXL pieces as well - so there's something for everyone! Each item is dry cleaned/washed after use, to maintain hygiene. They also have a small range of footwear for rent, priced from INR 100 - 150; and they plan on adding a jewellery selection to their collection, too. We think Dress On Rent is a great budget-friendly option if you go out for multiple events a week. Currently, they don't offer delivery, so you will have to visit the store in Erandwane to pick up and drop off the items you rent. We're told they're working on a delivery system that will come into place, soon. DOR plans to open their second outlet in Viman Nagar around 3-4 months from now, so keep an eye out!